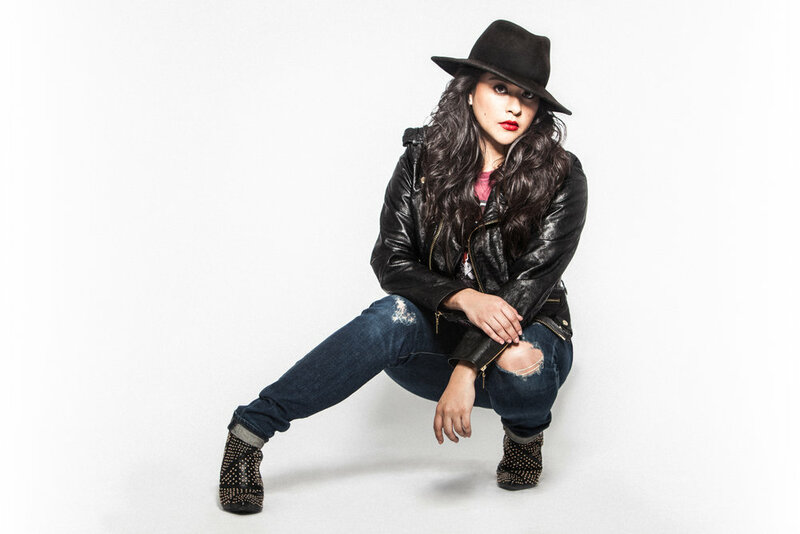 Working as an actress from the time she was seven years old, California native, Chelsea Rendon, is the main character on STARZ’s most recent drama Vida. The series premiered on May 6th, and Rendon’s character is a “woke” activist who is all about sticking it to the man. Chelsea has performed many other roles, her earliest playing Cristina in the feature film No Turning Back. Most recently she has appeared in Netflix’s original show, Bright, as well as Freeform’s The Fosters. In this interview, Chelsea discusses what some of her favorite memories from the set of Vida are, as well as what inspired her to get into acting. To find out more about Chelsea read on below! Who/what first inspired you to get into acting? "I feel like I came out of the womb ready for acting, but I would have to say watching Selena at the drive-in definitely solidified it." "Honestly I don’t remember my first audition because I was only 6! My mom tells me when I was younger I thought going to an audition was a job." You currently star as Mari on STARZ’s upcoming series “Vida” – can you tell us a little about the show and your character? "The show is about two sisters coming home to East LA, finding out family secrets, dealing with a changing neighborhood and finding yourself. My character Mari “La Chinche” is a young, woke activist from the neighborhood. She is a badass. She is totally against the gentrification that’s going on and hates the Hernandez sisters!" What’s your favorite memory from working on the set? "The food! Just kidding. My favorite memory was my very first day and just getting to set and seeing my trailer. Just knowing it was really happening is a feeling I can’t even describe." Of the roles you have played, which would you say is your favorite and why? "Definitely Mari because she’s such an interesting character. She’s like an onion that you have to peel back each layer, and in real life I’m so similar to her." Is there a type of role you haven’t gotten to play yet that you would love to in the future? "I definitely want to play a serial killer and a cop! Those are my two dream parts!" What are some goals you hope to achieve in the future? "I want to have my own production company and create my own content. I also want to direct and of course win an Oscar one day!" "A feature film called Murder in the Woods is a slasher I worked on and was an Associate Producer for. I got to work with Danny Trejo and my friends Jose Julian and Catherine Toribio! A series, High & Mighty, which is my first comedic project ever! Super fun show! I got to work with my friends Jorge Diaz and JR Villarreal. Both of these should be out later this year."